I cannot download this video link today. But, please pray for me, as there is a slight chance for me going to Ireland as a missionary. I need big prayers for this to happen. Will explain later. Pray to SS. Patrick, Clare, and Oliver Plunkett for me, as I have a special love for the last especially. The ego keeps us from being saints. The passive purgation destroys the ego. Again, the ego stops the gifts of the Holy Spirit from working and stops the growth of the virtues. Only in the stages after the death of the ego can one be said to be working for God and not for the hidden desires of the heart which center on the individual and not God. One must go through the stages. The entire Dark Night series reveals this journey into purification. But, journey is both grace from God and our own willingness to mortify ourselves in some way. Notice the repetition in Garrigou-Lagrange in the phrase, "the normal prelude of the lift of heaven". Purgatory after death is not the normal way. Purgation on earth is and again, one weakens the Church is one is not allowing God to purify the heart, intellect, soul.........Getting rid of judgement towards others is a huge step. As long as one judges, one is still full of the ego. After baptism, not before, we are in a state of innocence and sanctifyng grace which does not last long, as when we begin to reason, we begin to sin. Only the young saints, again, many listed in a recent post, maintain purity of heart, mind and soul. 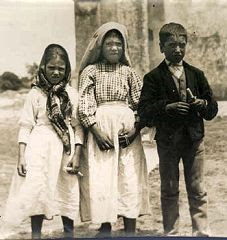 And, even many of them suffer, as we see with two young Blesseds Jacinta and Francisco. Jacinta, by the way, is the youngest child to be made a Blessed without being a martyr. At the age of eight, she understood and experienced intense pain for the conversion of sinners. Her good inclinations overcame not only her own bad ones, but she interceded for others. Every time this inclination is reproved, it strives to justify and defend itself, and cannot bear to be corrected. It tells itself that others have their defects, but that it has always acted with a good intention or through ignorance or weakness. This inclination reaches the point of persuading itself that it seeks God in everything, whereas in reality it seeks itself always and lives only on appearances and externals. It prefers appearance to reality. Therefore it seeks itself even in prayer and the taste for spiritual things, in interior consolations turning the gifts of heaven, whether interior or exterior, and even God Himself, to its own satisfaction. If it happens to lose an object of its delight, it immediately seeks another, in order to rest in it and to refer all to self. Tauler uses the same metaphor of the cell within the heart as does St. Catherine, as re-posted here the other day. To bring about the predominance of the good inclination, man must be a severe guardian and observer of self, of his exterior and interior senses. He must not allow his senses to become dissipated, to run after creatures. "He must," says Tauler, "build a cell within his heart, withdraw to it and live in it as far as possible unknown to the whole world, that he may be less turned away from divine contemplation. He must not lose sight of the life and passion of our Savior." (12) The consideration of Christ's life and passion will give birth in him to the desire to resemble Christ by humility of heart, patience, meekness, true love of God and neighbor. There is not a doubt that humility is the only way to stop the incessant thinking of one's self and move toward constantly thinking of God and others. When a man finds that he is not conformed to the divine model, he will ask the Holy Ghost to give him the grace better to see the ugliness of sin and its deadly results. He will abase himself with sincerity and humility, but with confidence in infinite mercy, begging it to raise him up again. The more a man promptly mortifies his evil inclination, the more living and beautiful the image of God that is in him becomes: the natural image, that is, the soul itself in so far as by nature it is spiritual and immortal, and the supernatural image, in other words, sanctifying grace from which spring the infused virtues and the gifts. Then gradually man begins to think frequently of God instead of thinking always of himself, and instead of seeking self by referring everything to self, he begins to seek God in everything that happens, to love Him truly, effectively, practically, and to refer all to Him. Tauler concludes: "As long as you seek yourself, as you act for yourself, as you ask for the reward of and the wages for your actions, and cannot endure being known by others for what you really are, you dwell in illusion and error worthy of pity. When you despise another because of his defects, and when you wish to be preferred to those who do not live according to your maxims, you do not know yourself, you are still ignorant of the evil inclination that subsists in you." (13) It is this inclination that hinders the image of God from being what it ought to be, so that the soul may truly bear the fruits of eternal life; therefore the necessity of knowing oneself profoundly in order to know God and to love Him truly. These reflections on retarded souls lead us to speak of the necessity of the second conversion or passive purification of the senses, which marks, according to St, John of the Cross, the entrance into the illuminative way of the advanced. I shall write one more after this to complete a little trilogy. Of course, it shall be labeled "What is Heaven?" This follows, from last week, "What is Hell?". This is a re-post from The Guild blog. But, it is a good reminder here as well. But, before heaven, one must be purified. enter into life, keep the commandments. adultery, Thou shalt not steal, Thou shalt not bear false witness. 20 The young man saith to him: All these I have kept from my youth, what is yet wanting to me? and thou shalt have treasure in heaven: and come follow me. 22 And when the young man had heard this word, he went away sad: for he had great possessions. Only the perfect see God and this new age idea, rather popular in England, that one does not have to pursue purgation of the mind, senses, soul and heart, as well as the heresy of universal salvation, has created a sub-Catholic culture which emphasizes still, an "I'm OK, you're OK" mindset, which is deadly. Purgatory is simply the purgation of the senses and the spirit which one did not agree to while on earth. All of us are called to perfection. Those who are canonized saints found this perfection on earth. Many suffered terribly for that unity of God before they died. Those of us who do not cooperate with the gifts of the Spirit, daily examining our consciences and repenting, yes, daily, will see a time of purgation. No one should say, "I shall be glad if I make it to purgatory." Or worse, no one should deny purgatory. What people do not think about is that if they are not purified, they are weakening the Church from within. If we are running around out of imperfection and sin, thinking we are doing good deeds in the Church and not detached from seeking comforts, we are simply "doing our own thing" and not God's "thing". Only those who reach the Illuminative State, such as SS. Benedict, Francis, Dominic, Catherine of Siena, Therese of Lisieux and so on can do the great works of building the Kingdom of God without egotism. But, this state should be our goal are well. This state is not impossible. On the contrary, it is the state to which all the baptized are originally called. Most of "our" works are either "our" works and not God's or tainted by self-centered-ness and our predominant fault, which must be attacked and cleansed out of us before we die if we are to enter heaven. The predominant fault is discussed at length on my blog, when I did an unpacking of Garrigou-Lagrange and other writers on perfection and in the Doctors of the Church series on perfection. Over 600, more than 10% of my postings are on the subject of perfection. This is the hidden fault from which we must be purged in order for the virtues and gifts of the Spirit to be fully implemented in our lives. We cannot even experience the life of the virtues on earth without purgation. One of the great regrets we shall have if we do not bend to this purgation on earth and enter after-death purgation is the loss of merit we shall see we could have obtained if we had agreed to our purgatory on earth. We shall see the good things we could have done in the state of illumination and unity we did not accomplish, because of our sins and predominant fault. Purgatory is not just about punishment for mortal and venial sins. It is about being made perfect so that we can see God. "Only the perfect see God." This means complete death of the ego. 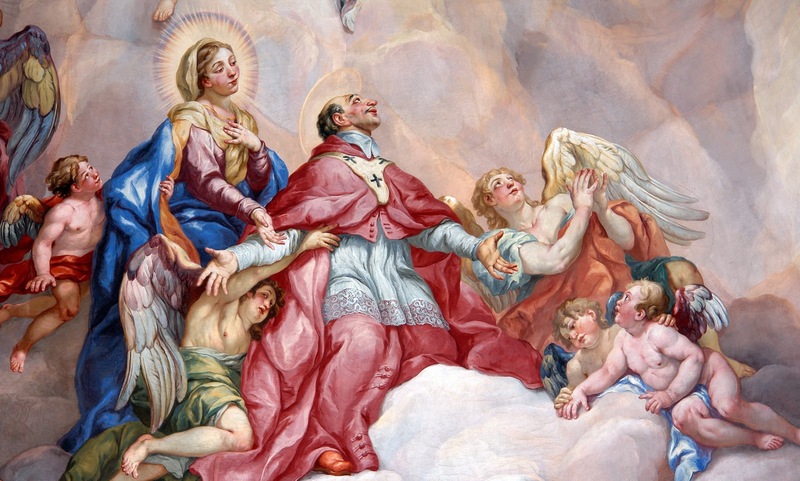 I can share one section here which may help those who doubt purgatory, for the teaching is that we are all called to perfection. By charity we become the temples of the Holy Ghost: "The charity of God is poured forth in our hearts, by the Holy Ghost, who is given to us." (18) Lastly, the more we love God, the more we know Him by that entirely supernatural, quasi-experimental knowledge that is divine wisdom. This is what made St. Paul say to the Ephesians (3: 17-19): "Being rooted and founded in charity, you may be able to comprehend with all the saints, what is the breadth and length and height and depth: to know also the charity of Christ, which surpasseth all knowledge; that you may be filled unto all the fullness of God." St. Paul is speaking here not only to privileged souls, but to all the faithful. After meditating at length on these words in the presence of God, can we say that the infused contemplation of the mysteries of faith is not in the normal way of sanctity? Care must be taken before formulating a negative proposition of this sort, for we must remember that reality, especially the reality of the interior life such as it is willed by God, is richer than even the best of all our theories. Philosophical and theological systems are often true in what they affirm and false in what they deny. Why is this? Because reality, as God made it, is far richer than all our limited and narrow conceptions. St. John gives us the same doctrine, particularly in his First Epistle (4: 16-21): "God is charity: and he that abideth in charity, abideth in God, and God in him. . . . And this commandment we have from God, that he who loveth God love also his brother." Likewise St. Peter writes in his First Epistle (4: 8): "But before all things have a constant mutual charity among yourselves: for charity covereth a multitude of sins." Christ said of Magdalen: "Many sins are forgiven her, because he hath loved much." (21) . . .
Retarded souls...At the beginning of the third part of this work, we shall speak of the second conversion through which one passes, with greater or lesser generosity, from the purgative way of beginners to the illuminative way of the advanced. Some souls, because of their negligence or spiritual sloth, do not pass from the age of beginners to that of proficients. These are retarded souls; in the spiritual life they are like abnormal children, who do not happily pass through the crisis of adolescence and who, though they do not remain children, never reach the full development of maturity. Thus these retarded souls belong neither among beginners nor among proficients. Unfortunately they are numerous. Garrigou-Lagrange is clear that many, many Catholics get stuck at the beginners stage and do not pass on to the proficients. That is, they remain spiritual adolescents. The Church is horribly weakened by spiritual adolescents, as only those who have allowed God to destroy their egos can go on to the Illuminative State. Here is another snippet from the great Dominican. The neglect of little things seems slight in itself, but it may become grave in its results. Our daily merit is ordinarily constituted by little acts of virtue from morning to night. As drops of water gradually wear away a stone, as drops of rain render the dried-up earth fertile, so our good acts by their repetition engender a good habit, an acquired virtue; they preserve it and increase it; and, if they proceed from a supernatural or infused virtue, they obtain the increase of this virtue. In the service of God, things which seem small in themselves are great in their relation to our last end, to God who should be loved , above all else. They are also great by reason of the supernatural spirit of faith, confidence, and love which should make us accomplish them. If we acted thus, we would live from morning to night in the presence of God, which is infinitely precious; and we would live by Him, by His spirit, instead of living by the natural spirit in accordance with the inclination of egoism. Little by little there would grow up in us zeal for the glory of God and the salvation of souls. Unless we strive in this way, we may end by following the downward path of practical naturalism, allowing ourselves to be dominated by the more or less unconscious gross selfishness which inspires many of our acts. In other words, we need to be faithful in the little things in order to be trusted by God in the big things. The next reason Garrigou-Lagrange gives is more serious, in that this is THE main fault of many Americans in the Catholic Church. A second cause of tepidity in retarded souls is the refusal to make the sacrifices which the Lord asks. Some persons feel themselves called to a more serious, a more perfect life, to true prayer, to the practice of humility, without which there are no true virtues; but these souls refuse, if not directly at least indirectly, by seeking diversion. They do not wish to hear the words that recur daily in the invitatory of Matins: "Today, if you shall hear His voice, harden not your hearts." Some, who are preoccupied with doing something, for example, a book, a work that would let the world know they exist, say to themselves from time to time: "First of all, it is essential to become an interior soul; if the soul is empty, it can give nothing. To do something exterior is unprofitable unless the soul is united to God." To become an interior soul, only some sacrifices of self-love would be necessary; God would have to be truly sought instead of self. Without these sacrifices, how can anyone enter on a true interior life? If these sacrifices are refused, the soul remains retarded; it may stay so permanently. The next section is terrifying, as I know people who deride, who mock the good or who are constantly cynical. Cynicism is a huge fault of our day. Among the causes of tepidity in retarded souls, the tendency to derision should be particularly noted. St. Thomas speaks of the derider when he discusses the vices opposed to justice: insult, detraction, murmuring against the reputation of our neighbor. He points out (4) that to deride or to ridicule someone, is to show that we do not esteem him; and derision, says the saint, may become a mortal sin if it affects persons or things that deserve high esteem. It is a grievous sin to ridicule the things of God, or our parents, or superiors, or good persons who lead a virtuous life. Derision may even become very grievous by reason of its consequences, for it may turn weak souls forever away from the practice of good. Job replied to his friends: "He that is mocked by his friends as I, shall call upon God; and He will hear him. For the simplicity of the just man is laughed to scorn." (5) But it is also said of deriders: "He that dwelleth in heaven shall laugh at them." (6) The terrible irony of heaven will chastise that of earth. The derider is himself a retarded soul, holding others back and becoming, often without being aware of it, the instrument of the spirit of evil. His cast of soul, which is the direct opposite of evangelical simplicity, is the one most opposed to supernatural contemplation. The derider, who wishes "to play the rogue," ridicules the just man who tends truly to perfection; he emphasizes the latter's defects and depreciates his good qualities. Why is this? Because he feels that he himself has little virtue, and he is unwilling to admit his inferiority. Then, out of spite, he lessens the real and fundamental value of his neighbor and the necessity of virtue itself. He may greatly harm weak souls which he intimidates, and, while working his own ruin, he may labor at their perdition. The saints tell us that retarded and tepid souls may reach such a state of blindness of spirit and hardness of heart that it is very difficult to reform them. This statement is borne out by St. Bernard, who says: "You will more easily see a great number of seculars renounce vice and embrace virtue than a single religious pass from tepidity to fervor." (7) The higher a retarded or tepid soul has been raised, the more deplorable is its fall and also the more difficult is its conversion; in fact, it reaches the point where it judges its state to be satisfactory, and no longer has a desire to ascend higher. When the time of the Lord's visit is disregarded, He sometimes returns only after long petitions. Retarded souls are in danger; they should be entrusted to the Blessed Virgin Mary, who alone can bring them back to the Savior and obtain for them the graces that will rekindle in them the desire for perfection. 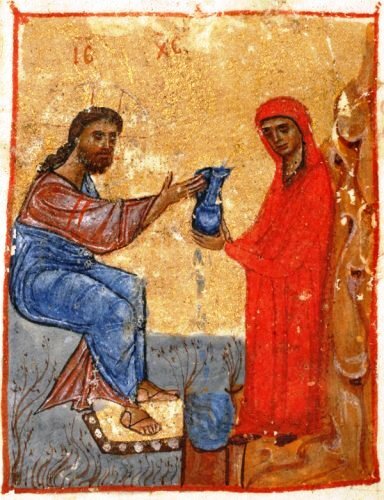 Reminder to myself from myself through a brother-That is "community"
I recently discovered on several Orthodox sites, that the Eastern Church honors the Woman at the Well as a saint and martyr. 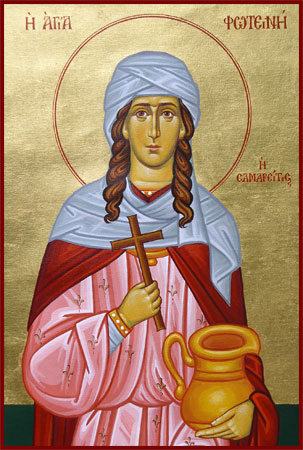 Her name is St. Phontine of Samaria, and Phontine means, "the Enlightened One". This saint is appropriate as one who introduces us to the last stage of Affective Prayer into the movement of true contemplation. She apparently converted her sisters and her sons, SS. Anatole, Photo, Photis, Paraskeve, Kyriake, Photinos, and Joses. According to tradition, they all traveled to Carthage in order to evangelize the people there and were martyred under Nero. Her feast day is near-February 26th in one tradition and March 20th in another, that is the Greek and Slavic traditions. She is also honored on the Fifth Sunday after Easter, the Sunday of the Samaritan Woman, with the readings referring to Christ as the Living Water. Among the Slavic people, she is called Svetlana, a popular Russian name even today. St. Photine was a feisty saint and is recorded as having spit in the face of Nero after her first tortures before being put to death. She could have been as old as 66 when she was martyred. As her name means "the Enlightened One", Photine is a perfect example of a saint in the Illuminative State, the state which follows the time of Affective Prayer. The Illuminative State will be discussed further in the series on perfection, but here I want to concentrate on the ending of the time of Affective Prayer and the moving into true Contemplative Prayer. ...we must allow ourselves to be led by the path which our Lord has chosen for us. There is, to be sure, the common and indispensable way, that of humility and conformity to the divine will; hence we must all pray as the publican did. But on this common road, one part is shaded, the other has nothing to protect it from the burning rays of the sun; one section is flat, followed by long, steep hills that lead to high plateaus where we may enjoy a marvelous view. The good Shepherd leads His sheep as He judges best. Some He guides by the parables, others by the way of reasoning; to others He gives, in the obscurity of faith, simple and penetrating intuition, great views of the whole, which are the distinctive characteristic of wisdom. He leaves certain souls for a rather long time in difficulties in order to inure them to the struggle. For several years St. Teresa herself had to make use of a book in order to meditate, and the time seemed very long to her. Our Lord raises the Marys rather than the Marthas to contemplation, but the former find therein intimate sufferings unknown to the latter; and if the latter are faithful, they will reach the living waters and will slake their thirst according to their desire. We must, therefore, allow ourselves to be led by the road which the Lord has chosen for us. If aridity is prolonged, we should know that it does not spring from lukewarmness, provided that we have no taste for the things of the world but rather concern for our spiritual progress. Aridity, on the contrary, is very useful, like fire that must dry out the wood before setting it ablaze. Aridity is needed precisely to dry up our too lively, too impetuous, exuberant, and tumultuous sensibility, so that finally the sensible appetites may be quieted and become submissive to the spirit; so that, above these passing emotions, there may grow in us the strong and pure love of charity, which has its seat in the elevated part of the soul. At this stage, the Dark Night finally ends and one is taken into the Illuminative State. I can honestly say that I have only met a handful of people in this state. And this means that very few people have allowed themselves to go through purgation to the last two stages of the life of perfection. Then if we are faithful, as St. Thomas teaches,(9) we shall gradually begin to contemplate God in the mirror of sensible things, or in that of the parables. Our soul will rise from one of these parables to the thought of infinite mercy, by a straight movement, like that of a lark soaring directly from earth toward heaven. At other times we shall contemplate God in the mirror of the mysteries of salvation, aiding ourselves, for example, by recalling the mysteries of the Rosary. By a spiral (oblique) movement analogous to the flight of the swallow, we shall rise from the joyful to the sorrowful mysteries, and to those which announce the life of heaven. Finally, on certain days we shall contemplate God in Himself, holding fast in the obscurity of faith to the thought of His infinite goodness which communicates to us all the blessings we receive. By a circular movement similar to that of the eagle high in the air, we shall repeatedly come back to this thought of the divine goodness. And, whereas the egoist always thinks of himself and refers everything to himself, we shall begin to think always of God dwelling in us, and to refer everything to Him. Then, even when the most unforeseen and painful events occur, we shall think of the glory of God and of the manifestation of His goodness, and we shall glimpse from afar the supreme Good toward which everything, trials as well as joys, should converge. This is truly the life of prayer, which allows us to see all things in God; it is the normal prelude of eternal life. and she has now attained life in the heavens everlastingly. Garrigou-Lagrange writes a beautiful section on persevering in prayer. In order to persevere, one must know three things, in my humble opinion. One, a person must know who he or she is; one must understand one's faults but also one's temperament. To have self-knowledge is a key to a true prayer life. Two, a person must use whatever means it takes to stay in touch with God. This could mean small, humble prayers, using books of prayers, the Divine Office, the Psalms or whatever helps one stay in contact with God during the day. Many people use the Divine Mercy Chaplet. Three, one must be honest with one's progress and not pretend to be at a higher stage of prayer than one actually is. This means, of course, having a good spiritual director, if possible, or just being content with letting God teach one directly. With perseverance much can be gained; without it, everything can be lost. Perseverance is not easy: a struggle must be carried on against self, against spiritual sloth, against the devil, who inclines us to discouragement. Many souls, on being deprived of the first consolations which they received, turn back; among them are souls that had made considerable advance. We may cite the case of St. Catherine of Genoa, who from the age of thirteen was drawn by God to prayer and made great progress in it; after five years of suffering, she abandoned the interior life, and for the next five years led a completely exterior life. However, one day when, on the advice of her sister, she was going to confession, she experienced with anguish the profound void in her soul; the desire of God revived in her. 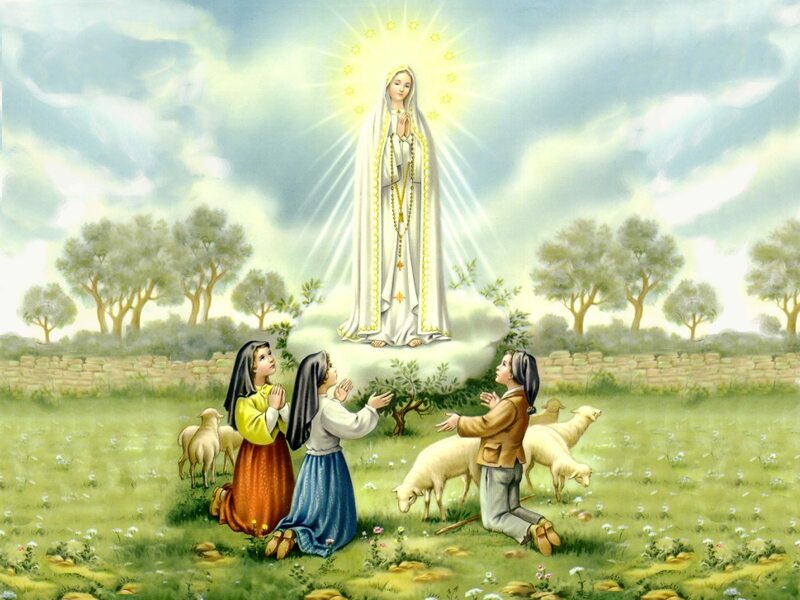 In an instant she was taken back by God in the strongest, most imperious manner and, after fourteen years of great penance, she received assurance that she had fully satisfied divine justice. "If I should turn back," she said then, "I should wish my eyes to be torn out, and even that would not seem sufficient." Such vigorous words of the saints express concretely what all theologians say abstractly: that it is better to lose one's sight than to lose grace, or even to retrogress on the way to eternity. For anyone who knows the value of life, the value of time in relation to eternity, this statement is incontestable. It is, therefore, most important to persevere and to press forward. Some souls, after struggling for a long time, become discouraged when they are perhaps only a few steps from the fountain of living water. Then, without prayer, they no longer have the strength to carry the cross generously; they let themselves slip into an easy, superficial life, in which others might perhaps be saved, but in which they run the risk of being lost. Why is this? Because their vigorous faculties, which were made to seek God, will incline them, in their search for the absolute which they desire, to look for it where it is not. Some souls absolutely need prayer, intimate and profound prayer; another form of prayer will not suffice for them. There are very intelligent people whose character is difficult, intellectuals who will dry up in their work, in study, in seeking themselves therein with pride, unless they lead a life of true prayer, which for them should be a life of mental prayer. It alone can give them a childlike soul in regard to God, to the Savior, and to the Blessed Virgin. It alone can teach them the profound meaning of Christ's words: "Unless. . . you become as little children, you shall not enter into the kingdom of heaven." It is, therefore, important, especially for certain souls, to persevere in prayer; unless they do so, they are almost certain to abandon the interior life and perhaps come to ruin. Affective Prayer and purgation go together. One is allowing God to lead one to simplicity. Suffering and the death of the ego is really the core of this time of prayer. One becomes more and more dependent on God and more and more detached from others. ...Bossuet invites us to this simplified affective prayer in his substantial little work, Maniere courte et facile pour faire l'oraison en foi, et de simple presence de Dieu. We shall quote the principal part. and to this end, it must be gently separated from reasoning, discourse, and the multitude of affections, in order to hold it in simplicity, respect, and attention, and thus to bring it nearer and nearer to God, its unique, sovereign Good, its first principle and last end. The perfection of this life consists in union with our sovereign Good; and the greater the simplicity, the more perfect also is the union. This is why grace interiorly solicits those who wish to be perfect to become simple that they may finally be rendered capable of the enjoyment of the one thing necessary, of eternal unity. . . . Unum mihi est necessarium, Deus meus et omnia! . . . Meditation is very good in its time and very useful at the beginning of the spiritual life; but we should not stop there, since the soul, by its fidelity in mortifying and recollecting itself, ordinarily receives a purer and more intimate prayer, which may be called the prayer of simplicity. This prayer consists in a simple view, a gaze on God, on Jesus Christ, or on one of His mysteries. Therefore, leaving reasoning behind, the soul makes use of a sweet contemplation which holds it peaceful, attentive, and susceptible to the divine operations and impressions which the Holy Ghost communicates to it. It does little and receives much. . . and, as it draws nearer to the source of all light, grace, and virtue, it is also proportionately expanded. . . .
We should observe that this true simplicity makes us live in a continual death and a perfect detachment, because it makes us go to God with perfect uprightness, without pausing over any creature. However, this grace of simplicity is not obtained by speculation, but by a great purity of heart and true mortification and self-contempt; whoever flees suffering, humiliation, and death to self will never enter it. This is also the reason why there are so few who advance in it, because hardly anyone wishes to give up self; and unless he does so, he experiences great losses and deprives himself of incomprehensible goods. . . . Fidelity which makes one die to self prepares. . . for this excellent type of prayer. . . . The enlightened soul dearly esteems the guidance of God, who allows it to be exercised by creatures and overwhelmed by temptations and abandonment. . . . After the purgation of the soul by the purgatory of sufferings, through which one must necessarily pass, will come illumination, rest, and joy through intimate union with God. The purgatory of sufferings, which Bossuet speaks of here as necessary before illumination, is the passive purification of the senses which we shall discuss farther on: it is, in fact, at the threshold of the illuminative way, like a second conversion. I have not had time until now to write about the last level of prayer before and going into the Dark Night. This is the stage of Affective Prayer. Affective Prayer comes before real contemplation. Affective prayer involves several types of prayer. The Easter Jesus Prayer is excellent for this stage, as one can no longer meditate-in fact, God does not want to meditate. "Jesus Christ, Son of the Living God, have mercy on me a sinner" can be said over and over while one works, for example. Affective prayer could include the Divine Office, or a mere lifting up to God in an act of love despite distractions. The examination of conscience becomes automatic, almost constant, as one is aware of one's sins immediately. If one has been doing these things for awhile and no gift of contemplation is forthcoming, it could mean that God needs to complete the purification of the predominant fault through humility and obedience. The great temptation of the time of Affective prayer is discouragement, as one may feel bogged down and not going forward in grace. Affective prayer is mostly mental prayer. A crying or calling out to God during the day, or a moment of silence, or a simple act of faith in Divine Providence. St. Teresa of Avila expressed that she wasted time as she had no one to explain to her the levels of prayer. Spiritual directors are so hard to find, and those who have allowed themselves to go through the Dark Night and purgation are rare, indeed. One must not push growth, or rip the little plant of grace out of the ground to look at the roots. One can only go forward, both trusting in God and fearing His judgment as one becomes more and more aware of one's sins. Here is Garrigou-Lagrange on this stage: one begins in faith, the real virtue of the Dark Night and moves to hope and love. Thus, the act of charity rises spontaneously in us, at first under an affective form. If, in these affections, our sensibility offers its help to the will vivified by charity, it may be useful on condition that it remain subordinate. But this help is not necessary; it disappears in aridities. Here we need a calm but profound affection, which is surer and more fruitful than superficial emotions. It consists in saying: "My God, I no longer wish to lie when I tell Thee that I love Thee. Grant me to love Thee and to please Thee in all things. ""Diligo te, Domine, ex toto corde." This affective charity should finally become effective: "I wish to conform my will to the divine will. May Thy will be accomplished in me by fidelity to the commandments and to the spirit of the counsels. I wish to break all that renders me the slave of sin, of pride, of egoism, and of sensuality. I wish, O Lord, to share more and more in the divine life that Thou dost offer me. Thou hast come that we may have life in abundance. Increase my love for Thee. Thou dost ask only to give; I wish to receive as Thou dost wish that I should receive, in trial as well as in consolation; whether Thou comest to associate me with the joyful mysteries of Thy childhood or the sorrowful mysteries of Thy passion, for they all lead to the glorious life of eternity. Today I resolve to be faithful on a certain point that I have often neglected. Volo." As St. Teresa (17) suggests, the Pater noster may be slowly meditated in this manner. Here, in this culminating point of prayer, the fruit of the theological virtues, the knowledge of faith, the love of hope, and that of charity tend, under the influence of the Holy Ghost, to fuse in a gaze of faithful and generous love, which is the beginning of contemplation: Christian contemplation which bears on God and the humanity of Christ, as the contemplation of the artist on nature, and that of a mother on the countenance of her child.